Steel Grey is quarried in India. It is a charcoal grey stone with a little bit of white, black, and brown mineral deposits. A closer look at this stone will show the accents of small black and grey flecks intermixed with larger grey and brown spots. 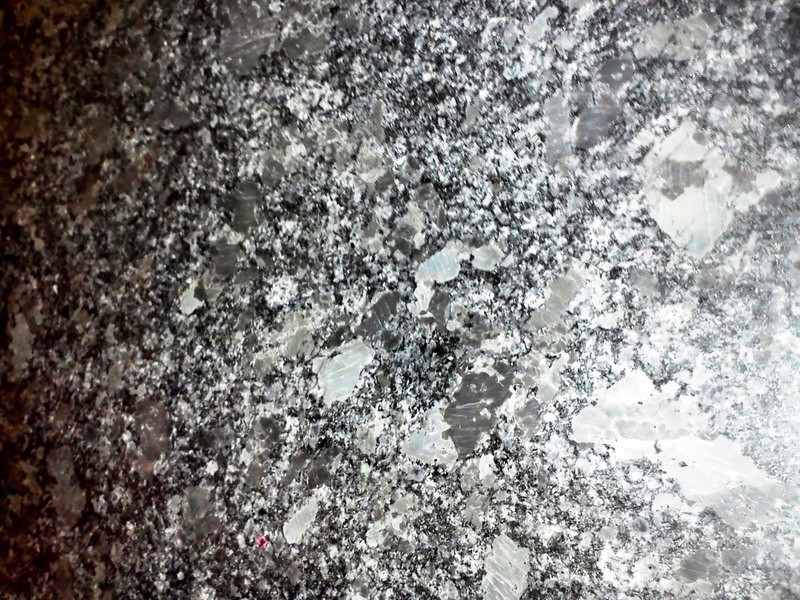 These inclusions look like groups of small flowers spread over the granite slab. .Steel Grey granite has medium variations of black and grays with an overall wavy pattern. This granite is very consistent in color and movement. With Steel Grey granite countertops, the ideal choice for kitchen cabinets would have to be white or slightly off white. The light cabinets pull the white color out of the granite and make it stand out. It also brings together the slight brown flecks in the stone with a medium stained wood floor. This is an amazing combination of colors that makes any kitchen area stand out.